In the M30d, Infiniti has finally got the diesel engine it has so desperately needed and the good news is that the 3.0-litre V6 is mightily impressive. 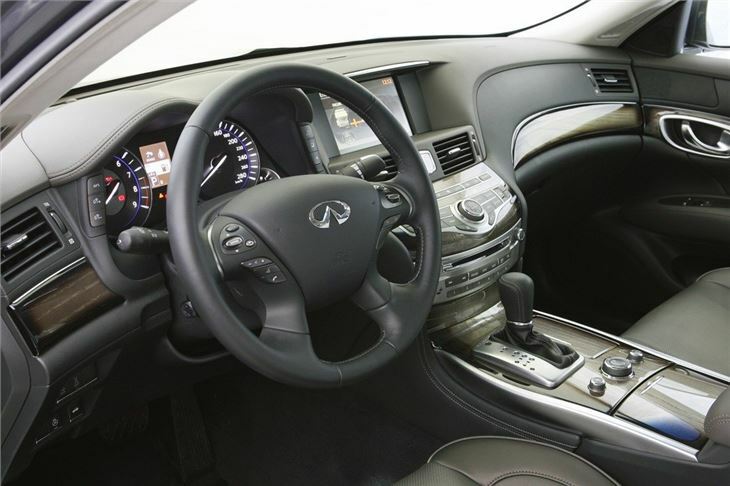 Infiniti is probably the premium car maker you've never heard of. Unless you spend a lot of time over the the US. Across the pond the make is as well known as BMW and Mercedes-Benz are in the UK, but it probably has more in common with fellow Japanese brand Lexus. 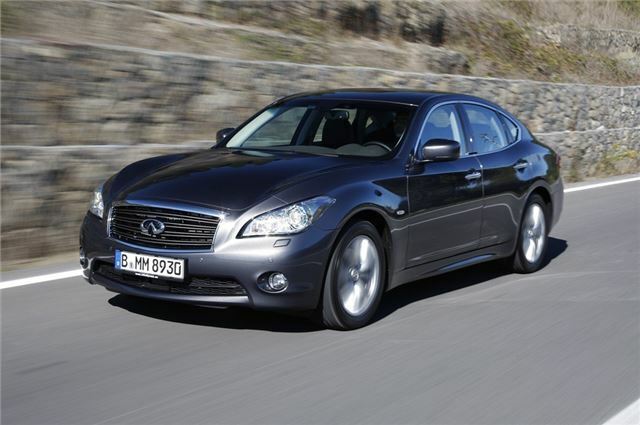 In the same way Lexus is the upmarket make from Toyota, so Nissan has Infiniti as its prestige marque. But don't have any illusions that this is some sort of rebadged Primera. The new M model is Infiniti's competitor in the very tough executive car market which is dominated by the likes of the BMW 5 Series and Audi A6. And it's a market where image is key - and where what you drive says plenty about you. In terms of looks the Infiniti M manages to looks fairly distinctive without being over the top in your face or just plain ugly. 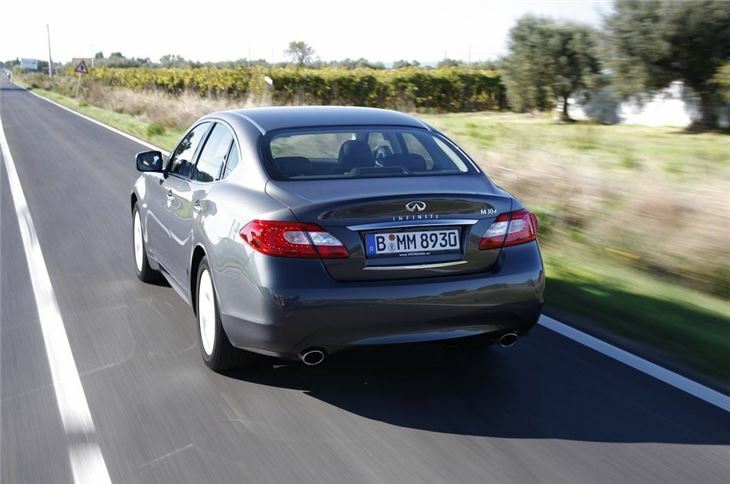 Without any trademark design features (like BMWs kidney grille) Infiniti is still inventing itself to a certain extent and while the M isn't as bold as the rather brash FX, it's still a stylish saloon that looks as upmarket as a Jaguar XF when parked alongside. It's also a substantial car and at five metres long is longer than other executive saloon - in fact it's knocking on the door of luxury four-doors like the BMW 7 Series. This is good news for cabin space with loads of leg and head room in the back, even for six-footers while the seats are incredibly comfortable and supportive - ideal for long journeys if you're lucky enough to have a driver. The quality of the interior is very good indeed and there's definitely a real attention to detail with some neat touches like the tradtional clock in the centre of the dash. 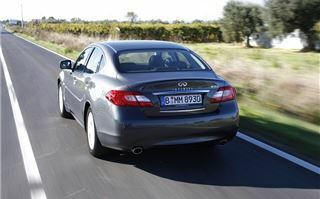 As well as the problems of increasing recognition and awareness of the Infiniti name, the brand has also been hampered by the lack of a diesel engine. Up until now the only powerplant available in any Infiniti has been the 3.7-litre V6 petrol borrowed from the Nissan 370Z. It's a very smooth and powerful engine, but economy is not its strong point - the M37 for instance averages a claimed 27.7mpg and that's if you drive like Miss Daisy. Put your right boot down and it'll quickly drop to the early to mid 20s. But Infiniti's achilles' heel is no more with the launch of a new 3.0-litre V6 diesel which has already gone into the EX and FX models. It's proved impressive in the two SUVs but it's in the four-door M saloon where it was always going to be a key choice, especially with company car drivers. On paper it looks good with 238PS and more importantly 550Nm of torque which means plenty of pulling power through the gears. Accelerating from 0-62mph takes just 6.9 seconds and it's effortless with very little noise from the engine. In fact refinement is a real strength of the M30d. The engine is quiet on start-up and never gets noisy, even if you rev it hard - which there's no need too. 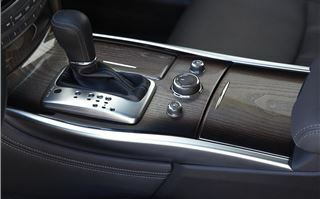 The seven-speed automatic gearbox which is standard on all M models is smooth shifting and responds pretty quickly to demands for acceleration, although it's not as responsive as the eight-speed auto that you get in the latest BMW 5 Series. Economy and CO2 emissions could be better too. While a claimed 37.7mpg and 199g/km is a considerable improvement on the petrol M37, it's not as good as rivals. Not to harp on about the BMW 5 Series again but it is the best executive saloon around in nearly all departments. As the 530d automatic model shows. Compared to the M30d it's marginally more powerful, quicker from 0-62mph (by more than half a second) and more efficient too with claimed fuel economy of 46.3mpg and crucially for company car drivers, CO2 emissions of 160g/km. And in terms of driving, the M30d is a tale of two cars. Standard models feel too soft in corners and quiet wallowy on bumpy roads. But go for the S and S Premium models and you get the impressive 4-Wheel Active Steer system and sports suspension. This transforms the car with much sharper and composed handling, making the M feel the equal of anything out there - including the 5 Series. It's just a shame that all models don't come with it as standard. So is it better than the competition? Well you really need to go for models with the 4-Wheel Active Steer system and sports suspension and the price goes up accordingly with S models costing upwards of £40k - that's more than most of the competition. Where the M30d does well is with standard equipment. 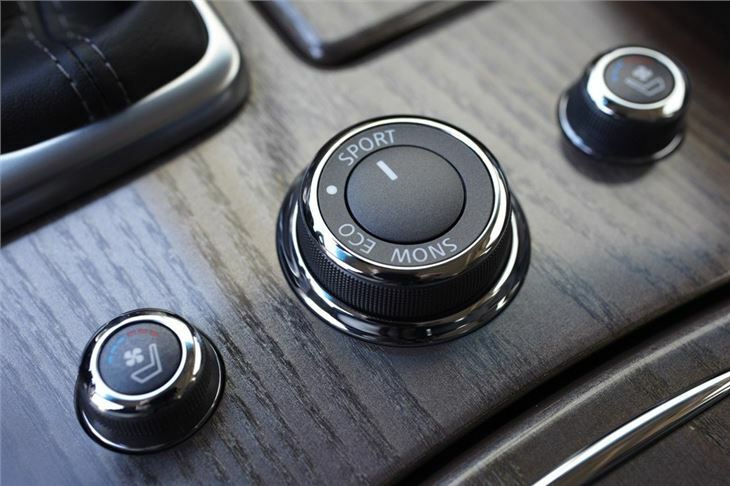 It comes really well kitted out with an array of features that are optional extras on competitor cars. So while rival motors may be cheaper as standard, by the time you've added on the essential extras (which most buyers do), the Infiniti will actually work out better value.